You know that awkward moment when you accidently make eye contact with your dog while they are doing their business in the yard? You’re not sure if you should laugh, look away or apologize. Well that is the reaction I got when I texted and told a few of my music loving friends, ‘Hey check out Willow Smith’s new song’. But seriously. At first listen you might think it was a talented and younger Rihanna ballad with the kind of lyrical sting that Adele leaves you with but it’s not. 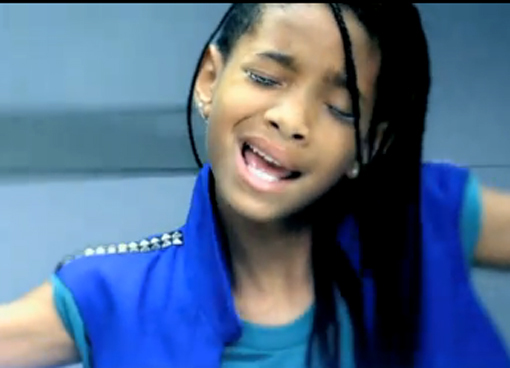 It’s the 12 year old offspring of The Fresh Prince of Bellaire tearing your heart little by little. The cherry on top? What makes this song even more mature and haunting is that it samples Radiohead’s ‘Codex’. Yeah, I know…you’re intrigued now. There is a downside to this all. You can’t help but feel genuinely concerned for this youngster. Let’s hope Hollywood doesn’t spoil this sweet little girl. Hang in there and keep it up Willow! You made your bed, now you have to lie in it.